The volume of discussion is immense. Shorter than a Tale of Two Cities, but still. At 15 hours, 8 minutes, that's longer than the Lord of the Rings trilogy. Bring extra popcorn. 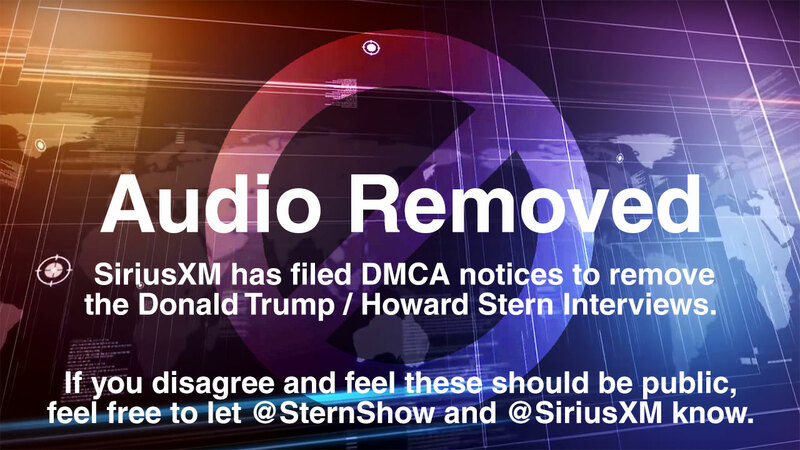 Note: Audio is temporarily removed per DMCA notice from SiriusXM. The text transcript is available. Think the audio and transcript should be public? Let @SternShow and @SiriusXM know. Note: There is a break in the audio at approximately 00:01:30. As the interview is incomplete, we have not transcribed this into the record or added to the overall base of analytics. We are listing here in the interest of completeness, and identifying the fact the interview took place on Howard Stern's 40th Birthday show at Tavern on the Green.